“The Brothers and The Sisters” was founded in 1971 by Gideon Koren, then a medical student, writer, and musician, and today an internationally renowned professor of Pediatrics, Pharmacology, Toxicology, and Medical Genetics at the University of Toronto, and still a musician. 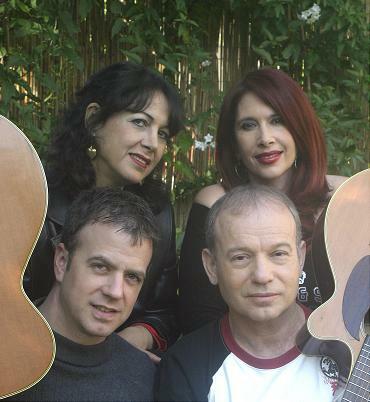 The four artists, Suzie Miller, Varda Sagy, Moni Arnon and Nimrod Paz have developed a unique style of Israeli folk with strong affinity to the American folk sound. During the seventies the group performed extensively in Israel and Europe, winning first place in several national song festivals. In 1974 the group created the first program totally dedicated to the poems of the respected Israeli poet Natan Yonatan, and many of their hits are based on his poetry. In 2004 the “Brothers and Sisters” reunited due to strong demand by the media and their fans for their unique style of Israeli music. Their first project is the CD which is attached to the book Within the Song to Live. The CD includes eleven songs, two of which are performed both in English and in Hebrew.